Function can be called multiple times on the same page. If required, the window can be auto-centered on the screen. A title can be given to the new window, which is also used as alt and title attributes for the image. The window that is opened is perfectly XHTML compliant. It works perfectly if you serve your site as application/xhtml+xml. 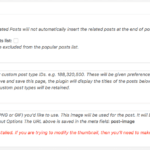 You can use the Quicktags button to insert the necessary code while writing a post / page. Download Open Browser Window Plugin. Extract the contents of ald-openbrwindow.zip to /wp-content/plugins/ folder. theURL – The URL you want to open in the window. winName – Name of the window to be opened. toolbar=0|1 : Specifies whether to display the toolbar in the new window. location=0|1 : Specifies whether to display the address line in the new window. status=0|1 : Specifies whether to display the browser status bar. menubar=0|1 : Specifies whether to display the browser menu bar. scrollbars=0|1 : Specifies whether the new window should have scrollbars. resizable=0|1 : Specifies whether the new window is resizable. myWidth – Specifies the width of the new window. myHeight – Specifies the height of the new window. isCenter – Set to true to center the window. myTitle – Specifies the title of the new window. Also used for image alt and title attributes. 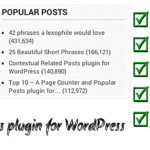 1.2.1 – Updated for WordPress 2.7 and for the WordPress Plugin Repository. Added quicktags button. Does everything go to the pulgins folder? Yes everything goes in the plugins folder. Just extract the zip file above as-is. Hello, I tried this plugin and the hack for Iimage Browser. I was using this plugin – LZIL – but didn’t work with PNG, so now I’ll try this one, or disable some functions of the other plugin. 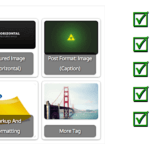 – close popup with click on image. 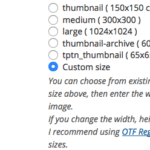 – replace url in [title] (this should be a tag) with title=\”\” text on [url]. – add class=\”\” somewhere so I can use custom CSS. And… there is a problem with the popups, the plugin adds margin or padding where it shouldn’t be. I can show some screenshots if you want. I haven’t understood the problem correctly, but the margin and padding problem that you mentioned above could be because of the way IE renders popups. I am currently working on a way to improve this. Thanks for the suggestions above. Thanks for this plugin 🙂 Do I understand this right? there is no control panel for this I need to manually add the window open script into the wordpress page or post? Unfortunately, at this point there is not control panel. 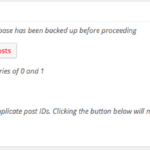 I am working on adding a button to the Quicktags for easy access. Until then the customizing section will provide the necessary information. The plugins works fine, but when the window open, the portuguese characters like ç, ã, é, isn’t visible. I am trying, but the button in the quick-tag bar is going to take some effort. What problem are you facing Franius? Hi there, does your plug in support opening pages in a new window as well as links within a page?